Become the fighting champion of the universe in TOBAL NO. 1 from SquareSoft. From the company that brought you the FINAL FANTASY series and the artist behind DRAGON BALL Z comes the ultimate hand-to-hand combat extravaganza. 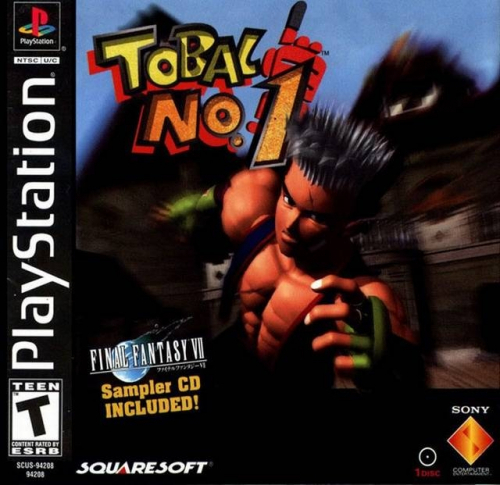 Your goal is to become the Super Tobalman, the champion of an annual fighting tournament held on the planet Tobal. Compete against contestants from across the galaxy as you battle for the grand prize. Fight against the computer or a friend, or adventure through dangerous dungeons in a unique Quest mode.